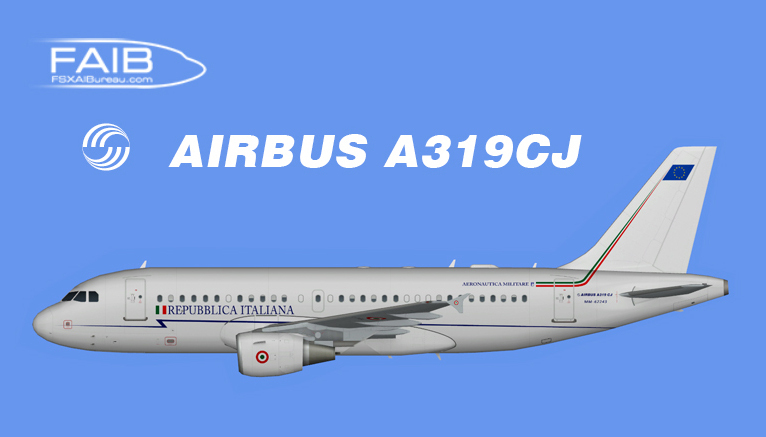 Aeronautica Militare Italiana Air Force Airbus A319-100 FS9 for the FAIB A319-100 CFM FS9 base model. These are FS9 textures only. The FAIB A319-100 CFM FS9 base model are required. Version 2: Updates the Alpha Channel on 2 of the 3 textures. Version 3: Updates the Alpha Channel once again. All Alpha Channel related errors should be fixed now. AMI’s texture has wrong alpha channel. Could you fix it please? Fixed. Thanks for noticing it. No one had seen that until you found it! Sorry for the very late reply. Time have been very limited in the last couple of weeks. It sounds like you are using the FS9 texture on a FSX model or reversed. When I check the paint in Model Converter X and in FS there is no problem at all. Problem is that I can’t see the error and no one else have complained about it. ‘I’ll have a look later today.